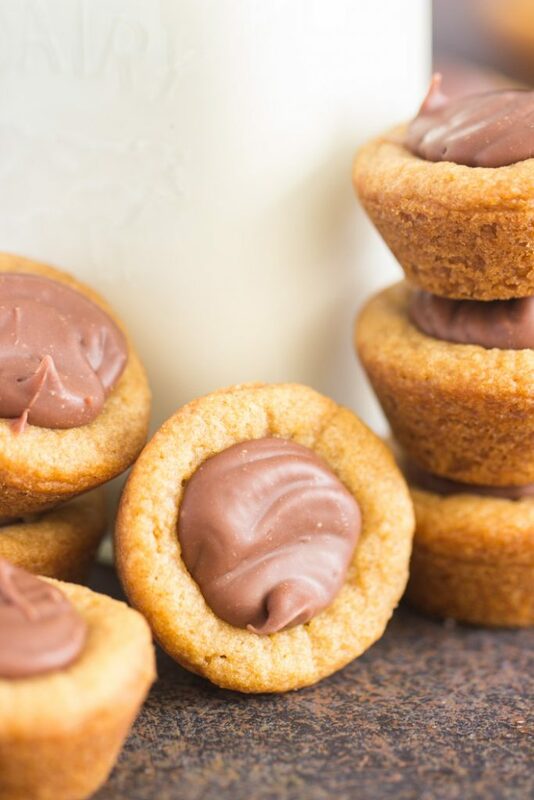 Fudge Puddles are a super soft, chewy peanut butter cookie cup, filled to the brim with a simple, luscious, ganache-like chocolate fudge filling! 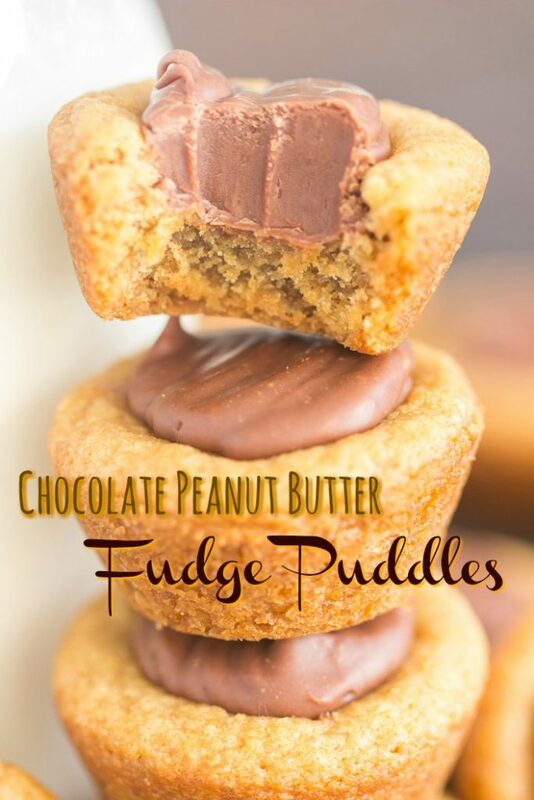 For chocolate and peanut butter lovers, Fudge Puddles are going to be a new favorite. 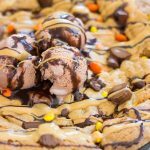 I’m very curious to hear from you guys as to whether you were familiar with Fudge Puddles until I posted this White Chocolate Fudge Puddles recipe a few weeks ago. 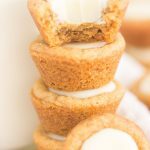 In all my years of baking (and I’ve been baking since I was a little kid! ), I only encountered Fudge Puddles for the first time last Christmas. 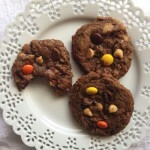 I received a message on Instagram from a high school friend, and all he sent me was a picture of these cookies. He knows I’m a nut for peanut butter, so I had to assume they were some kind of peanut butter cookie. 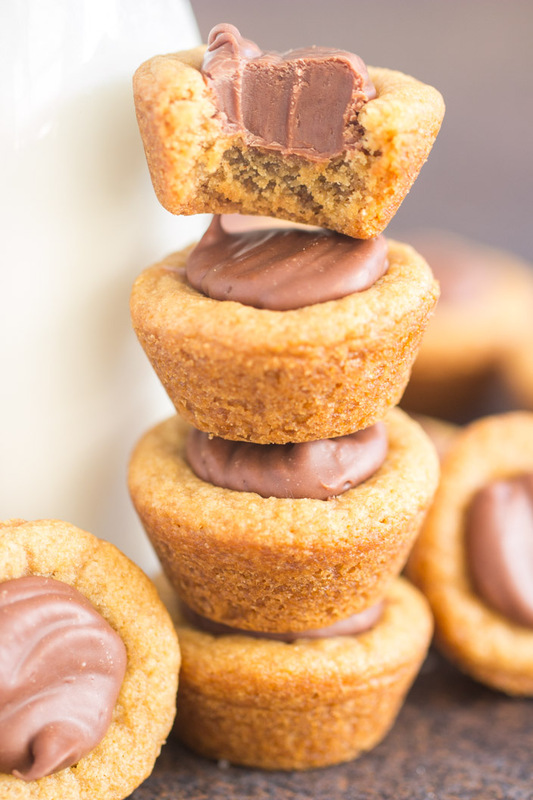 That’s definitely what they look like afterall… a peanut butter cookie cup with some kind of chocolate filling. 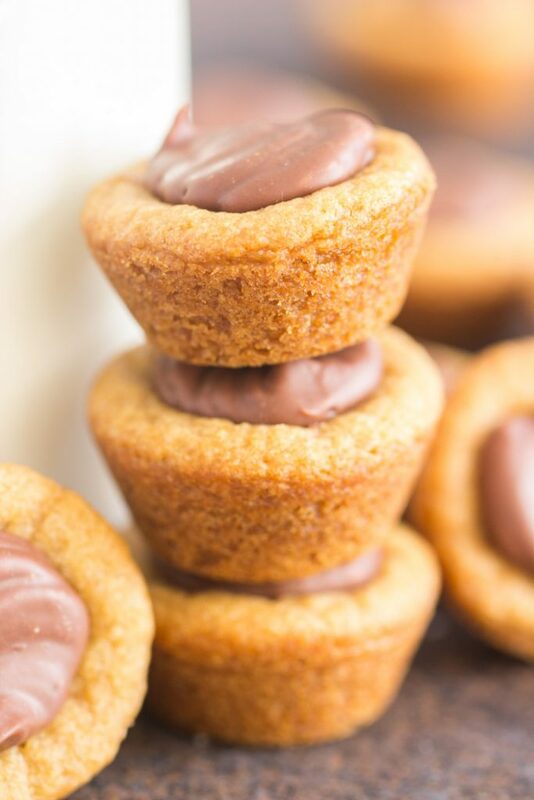 Anyway, this Fudge Puddles recipe produces a super soft, cake-like peanut butter cookie cup, filled to the brim with a simple chocolate fudge filling. The peanut butter cookie cups are definitely potent with peanut butter flavor, and they’re so soft and chewy. 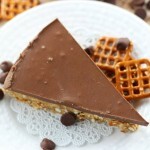 The filling is like a quick fudge – just chocolate chips melted down with sweetened condensed milk into a sweet, rich, luscious ganache-like, fudgy chocolate center. Fudge Puddles are amazing! Fudge Puddles are so simple, and are a chocolate and peanut butter-lovers’ dream! I still cannot believe that it took me into my mid-thirties (okay, late thirties) to learn about them. 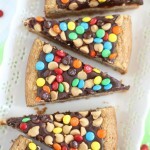 I know these are going to be a hit at parties and family get-togethers. 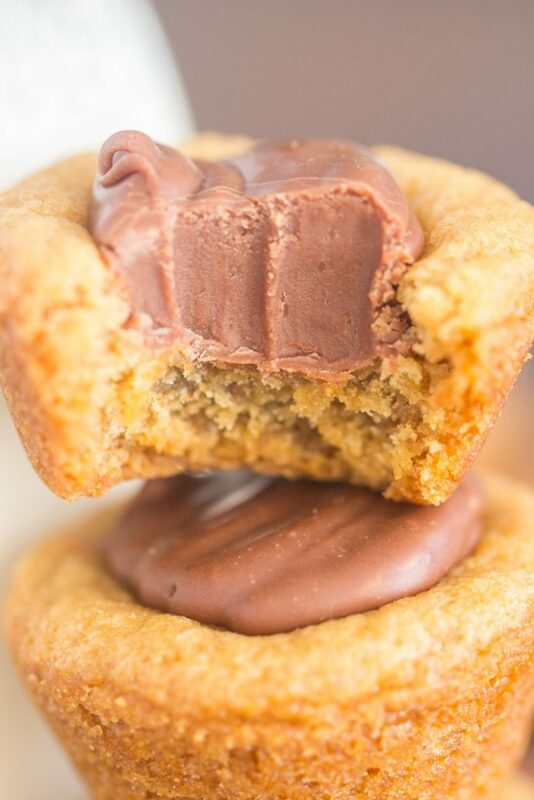 For other chocolate and peanut butter faves, check out this Dark Chocolate Peanut Butter Bundt Cake, these Chocolate Peanut Butter Cake Truffles, or this Chocolate Peanut Butter Cookie Pizza!